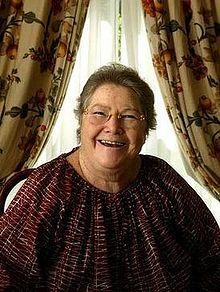 Colleen McCullough (1937-2015), who passed away in January, is best known for her novel The Thorn Birds, though she was also a scholar of Roman history. This interview, from early 1996, was conducted while she was on tour for Caesar’s Women, the fourth volume in her Masters of Rome series. The interview was conducted by Richard Wolinsky and Richard A. Lupoff. Digitized, remastered and re-edited in 2015 by Richard Wolinsky.